November,. 6. 2017. – Chris Rea live in Budapest! 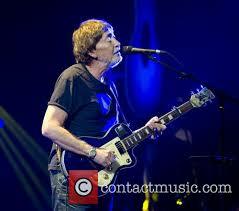 Chris Rea live in Budapest after a five-year break on November, 6. 2017 at the Papp László Budapest Arena. Chris Rea boosts off with “Road Songs for Lovers” European Tour 2017. Chris Rea will be returning to Europe after the Summer of 2017 following his very first US and Australian concerts. Chris Rea will play a full European and UK tour in October, November and December, to celebrate the release of his new album, “Road Songs for Lovers”.The album will be released in September, within the European tour starting off October, 7. in the Netherlands. .
Like all truly great artists, Chris Rea has followed his own unique artistic vision and a path that is his and his alone. And although his exemplary musical output to date is deeply embedded into the framework of the world’s rock n roll DNA, it is also safe to say that his presence has been something of a glittering thorn in the side of an industry that has always had him down as a perennial outsider. Artist and painter, blues aficionado and self-confessed motoring nut, filmmaker and Italian-influenced classical music composer, eclectic and maverick are two terms that hardly come close to describing a man who has sold more than 30 million albums worldwide for just being himself. In 2017 Rea returns to what he’s best known for: an album of gorgeous rock ballads which showcases Rea’s unique voice and a songwriting skill at the top of his game. The Budapest show will be held in the theatrical layout, fans should make sure they have their tickets soon this time not to miss the concert as the previous one. There will be only seated tickets available via http://www.livenation.hu and/or on the spot.